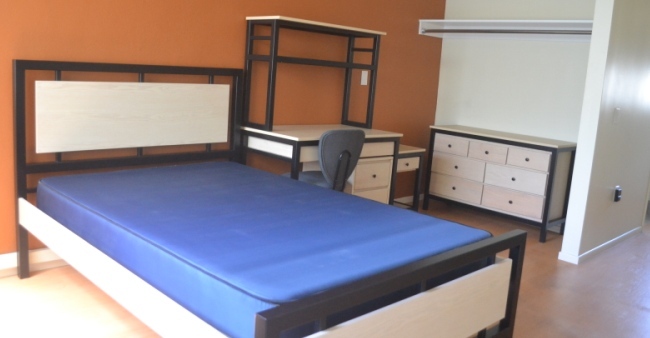 University Regent is three stories tall, with a gated garage and large laundry room on the first floor and the living areas on the second and third. "Uni" is a popular choice for graduate students who prefer to live alone in a quiet setting, while still getting a great return on their investment. 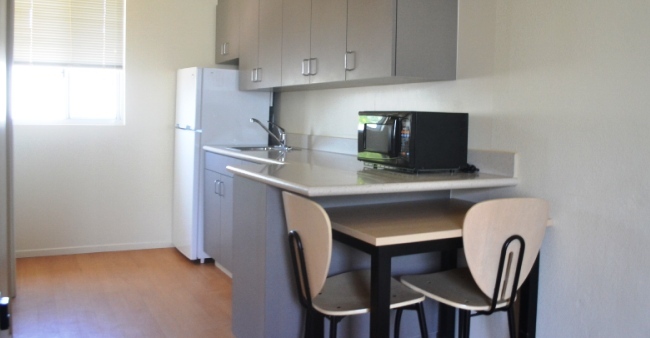 Each bachelor-style apartment has a bathroom and a small kitchenette with a microwave, refrigerator, sink and cupboard (there is no oven or stove) and comes with a full extra-long bed. Units also have a wall air-conditioner. A Housing Resident Manager lives on-site and can assist you with questions and maintenance requests. 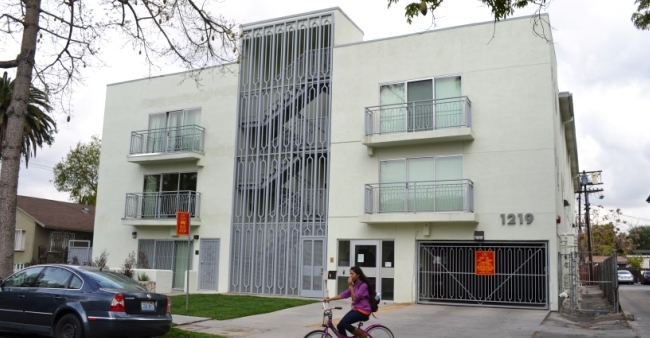 Both campus and the USC Village are a short walk or bike ride away. Residents of University Regent have the Graduate Full Year contract term. Contracts will begin in early August and end in late July. Ground-level garage parking is assigned by Transportation Services on a first-come, first-served basis. The USC bus stops right in front of the building.